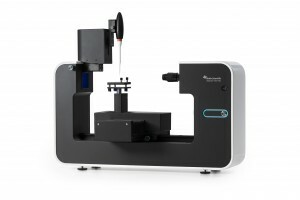 The 3D Topography module combined with the Theta Flex optical tensiometer is the first product which makes it possible to combine 3D surface roughness measurements in conjunction with contact angle measurements and to perform those measurements on the same exact sample location. As a result, roughness-corrected contact angles can be better compared with each other for research and quality control purposes. Offers fast surface characterisation method, which does not demand specialist to run the samples. Versatile roughness measurement: both 2D and 3D characterization. Wettability is typically studied by a contact angle measurement that can be defined with the well-known Young equation on ideal surfaces. Surface free energy theories are also based on assumptions that Young contact angles are used for calculations. Thus, the surface is assumed to be chemically homogenous and topographically smooth. This is, however, not true in the case of real surfaces. It is well established that surface roughness enhances the existing wetting behaviour and influence on adhesion. The 3D Topography Module is a high resolution 3D shape acquisition system using structured lighting technique called fringe projection phase-shifting. The phase-shifted fringe illumination patterns are sequentially projected onto the studied surface. A digital camera captures the fringe patterns from which the 3D shape of the object is reconstructed by phase-shift coding. The 2D and 3D roughness parameters are calculated from the 3D shape of the object. For Technical Information and further details on the Theta Flex Topography Module please click on the product datasheet. Contact our Sales Team directly to discuss your individual requirements.